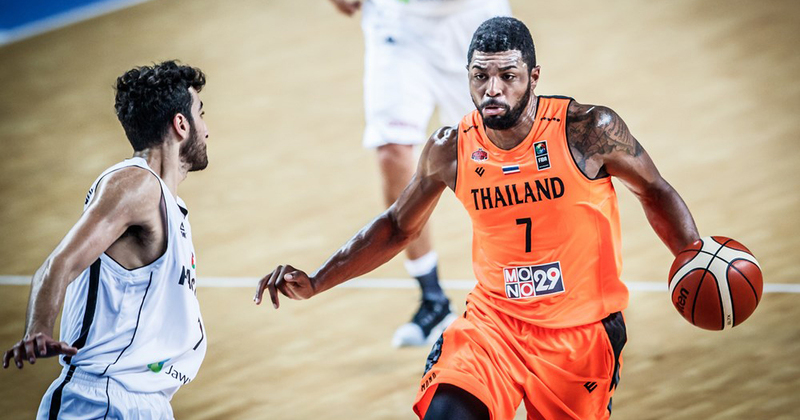 The Mono Vampires started their FIBA Asia Champions Cup 2017 with a bang, going into overtime and beating Sareyyet Ramallah from Palestine 102-100. Since this was the very first game, I didn’t know exactly what to expect. Even with a slight grasp on what the Mono Vampires would look like, I had little to no idea of what this “Sareyyat Ramallah” team would play. So when the game ended with the Mono Vampires winning, I wasn’t sure how to actually gauge their performance. They had played well that was sure (to win basketball games, you have to play well up to a certain level), but how well did they actually play? How good was Sareyyet Ramallah? What could we take away from this game about the Mono Vampires? And thus, I begin my analysis. There were some doubts about why the Vampires had gotten Singletary instead of Reggie Johnson for the tournament, so I guess Singletary wanted to shut those doubters up early. He was on fire in the first quarter making jumpers and drawing contact. Even as he cooled off after the first quarter, he still found was to be effective on offense but just purely drawing fouls over and over again. His three-point shooting wasn’t pretty (3-12) but his free throw numbers (13-17) are a positive sign for the coming games. The chances of a three-point shooter going on fire is significantly less than the chances of a physical wing player driving and drawing a lot of fouls from the opposing team. It might be too ambitious to expect Singletary to average 35+ points, but the fact that he could rely a lot of his scoring on free throws in this game is a good sign of healthy scoring for his team. An underrated factor to the Mono Vampires victory was how Coach Douglas Marty managed his players minutes in relative to Coach Guy Arnaud’s rotation. Sareyyet Ramallah came in with a 6-player rotation at best and Marty was able to sniff that out quickly. He went deep into his bench early in the game and it paid off when his star contributors were more rested in the overtime session. Not only that, being on the floor longer meant the players could pick up more fouls especially with Singletary ramming off everything in his way in the open court. Four Sareyyet Ramallah players ended up with four fouls and you can be sure that some of the defensive lapses were a result of saving themselves from an extra foul. Pairach Sekteera had a great game, pouring in 16 points on 5-8 shooting including 4 three-pointers. “I was happy because even though I had been away for a long while, Coach still trusted me enough to put me in the game.” Sekteera said after the game. While we have to give credit to Sekteera for making his shots count, we also have to point out that Sekteera’s performance is also a result of the great floor spacing by the Vampires. Singletary rarely lurked into the paint to set up the offense, leaving a whole lot of space for cutters. Once someone penetrated to the basket (mostly Singletary/Brickman) the defense were sucked in to defend, leaving the other players open from outside. Sareyyet Ramallah could have done a lot better here (and other teams in the tournament probably will), but the Vampires still get credit for the execution. It was just one of those shooting days for Ratdech Kruatiwa, who Brickman lauds as the best shooter in Thailand. This was a typical “JO” shooting game where he missed a pile of shot all through most of the game, only to come up with big shots as the clock was winding down. Kruatiwa nailed his very first shot and the team’s very first shot, but went pretty quiet (4-12 the whole game) until the latter parts of the game when the Vampires were mounting their comeback. His masterpiece was complete when he stole the ball and drained a gutsy three-point shot on the break with less than 20 seconds left in the game. The shot tied the game up at 90, eventually went to overtime, and the Vampires got their win. We miss you, Kannut Samerjai. The Mono Vampires will be playing their next game on Sunday 24th at 14:30 PM (GMT +8) against Chooks-To-Go (Philippines). The game will be broadcasted live on Mono 29. ทีมโมโน แวมไพร์ ออกตัวในรายการ FIBA Asia Champions Cup 2017 ไปได้อย่างสุดมัน เอาชนะทีม Sareyyet Ramallah จาก ปาเลสไตน์ ในช่วงต่อเวลาไป 102-100. เพราะฉะนั้น ตอนที่ผลออกมาว่า โมโน แวมไพร์ ชนะนั้น จึงต้องใช้เวลาในการประเมินผลซักนิด แน่นอนว่าพวกเขาเล่นดี (การที่จะชนะการแข่งขัน ก็ต้องเล่นดีบ้างแหละ) แต่ พวกเขาเล่นดีกันขนาดไหนละ? ทีมตรงข้ามเก่งขนาดไหน? ในเกมนี้ พวกเราได้เข้าใจอะไรเกี่ยวกับ โมโน แวมไพร์ มากขึ้นบ้าง? ตอนที่ประกาศออกมาว่า ทีมโมโน แวมไพร์ ตัดสินใจส่งชื่อ ไมเคิล ซิงเกิลแทนี่ แต่ไม่มีชื่อ เรจจี้ จอห์นสัน ไป ก็มีเสียงกระแสตอบรับออกมาแสดงความเห็นห่วงว่า จะไหวหรอ?